The Namibian Annual Music Awards (NAMAs) 2019, were officially launched this week by MTC and NBC. 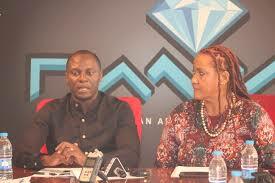 The two entities will jointly host the best of the best in the local music entertainment environment. Tim Ekandjo, Chief Human Capital and Corporate Affairs Officer at MTC confirmed that the NAMAs will officially open for entries on 1 April and will run until 26 April. “Namibian artists with music, either singles or albums, commercially release in Namibia between the dates of 1 December 2017 and 30 November 2018, to submit their applications by completing the manual printed forms or via the secure online electronic entry system,” he added. Ekandjo explained that there are a few changes that they have made to the categories and entries this years which are that they have added a new category ‘Artist of the Year’, which will see the best talent in Namibia, whether being male of female, compete in this category on an equal platform for the accolade of the overall Best Artist of the Year in Namibia overall. “The winner of ‘Artist of the Year’ will be decided by the highest score recorded from the judges’ vote awarded to the winners of the Best Male and Best Female categories,” added Ekandjo. He highlighted an amendment which has been made to the ‘Best Producer’ category, which states that ‘Best Producer’ nominees will be decided by the top 5 overall best scores received from the judges vote for musical entries nominates with the Best Male, Best Female and Group/Duo of the Year categories. “Entries for the Best Music Video category will now only allow one entry per artist, and only music videos produced from a master recording that was released within the entry qualifying period will be allowed,” added Ekandjo. Explaining this he said if a new music video was produced using an old recording, song, for which the song was release outside of this year’s entry eligibility period, those music videos will not qualify for entry and will no longer be accepted. “The date of the NAMAs 2019 ceremony will be announced in the next few week, therefore applicants are encouraged to familiarise themselves with the rules and regulations before applying and should visit our website www.nama.com.na for awards rules, entry requirement and other details,” concluded Ekandjo. Music Festival not to be. I want my money back.